Matching wines to strong, punchy flavors can frustrate even the most knowledgeable wine experts. Help is here: F&W’s Megan Krigbaum tested dozens of bottles to find great pairings for intense flavor profiles. Why It Works: Alcohol actually makes spicy food taste even hotter, so low-alcohol, lightly sweet wines are great; they’ll even cool off your palate. Try full-bodied German Kabinett Rieslings, like the 2010 Dr. 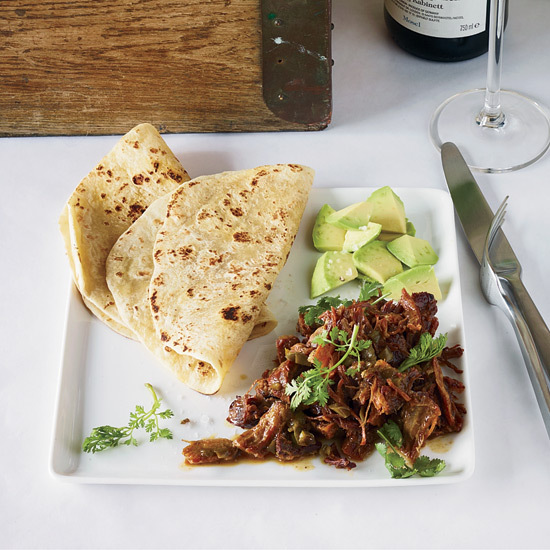 Loosen Erdener Treppchen Kabinett, which also has enough body to go with substantial meat dishes like these chile-pork carnitas. 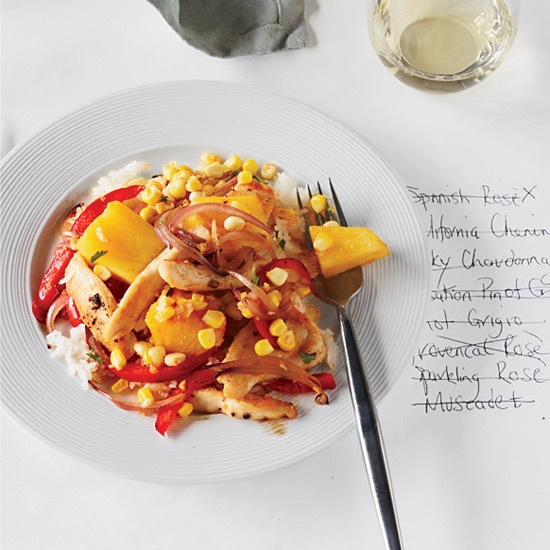 Why It Works: It took nearly 30 attempts before I found a good match for this pineapple-and-corn stir-fry—the sweet flavors made most wines taste sharp, but a full-bodied white, like the 2010 Bonny Doon Le Cigare Blanc, worked. A wine aged in oak—which lends body and vanilla flavors—blends with the sugars. Why It Works: The intense flavors of bitter greens make most wines seem astringent. 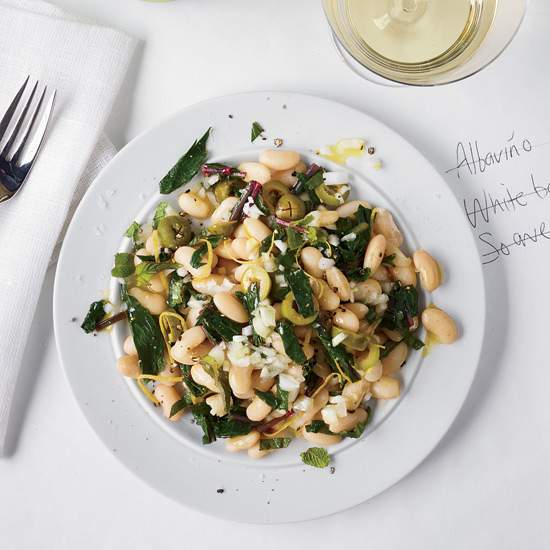 But a zesty white with bright acidity can actually make the greens taste lively—almost like a squeeze of lemon. One to try: the 2011 Martinshof Lobster Grüner Veltliner. 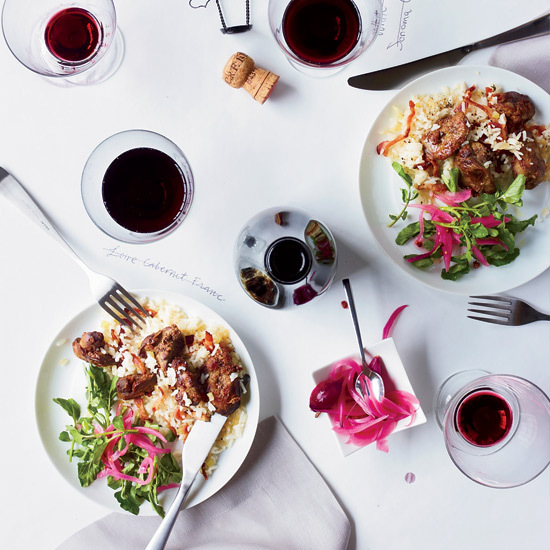 Why It Works: Dishes with more than one dominant flavor can be a wine-pairing nightmare. Look for a wine with a Labrador-like personality; something that plays well with everyone, like a lively, juicy red that’s not too tannic or acidic. Beaujolais or Lambrusco, such as the NV Gemma Rubia Lambrusco Secco, are good bets. 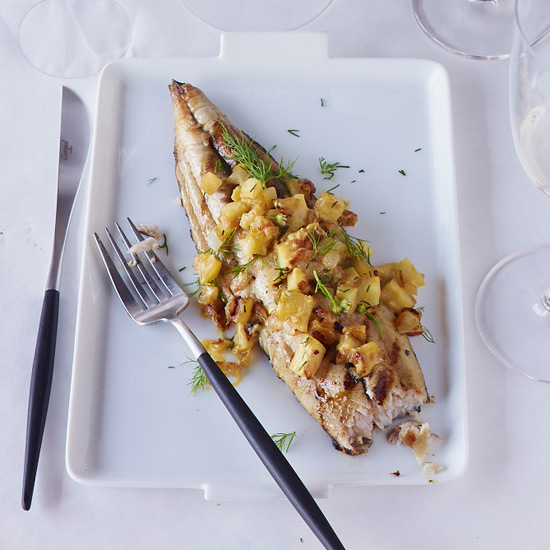 Why It Works Cool-climate white wines with focused acidity and concentrated flavors can cut through fishy, oily foods like this mackerel. One to try: the 2011 San Michele All’Adige Müller-Thurgau from Italy’s Trentino region.